(CNA) The United States has once again raised concerns over Taiwan’s bans on its pork and beef products, highlighting the issue in its "2018 Trade Policy Agenda and 2017 Annual Report" filed by the Office of the United States Trade Representative (USTR), and refocusing attention on what has been an obstacle to the two countries signing a free trade agreement. In the annual report, the USTR underscored U.S. concerns about Taiwan’s agricultural policies, which it said "are not based upon science." 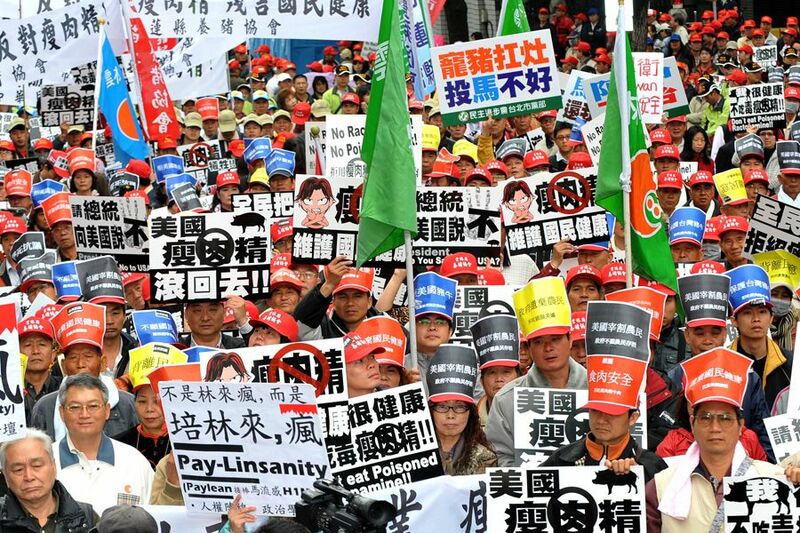 This refers to Taiwan’s "zero tolerance" policy on U.S. pork imports that contain a leanness-enhancing drug known as ractopamine, which Taiwan has adopted due to lingering concerns about the drug’s safety and strong opposition from local pig farmers. According to the USTR, one of the main priorities for the U.S. in its trade with Taiwan is to remove "Taiwan’s barriers to U.S. pork products and certain U.S. beef products produced using ractopamine." On the subject of agricultural policy, the report said the U.S. is also focused on Taiwan’s rice procurement systems, restrictions on potatoes with greening, its regulatory process for setting pesticide maximum residue limits, and market access barriers facing U.S. agricultural biotechnology products and certified U.S. organic products.